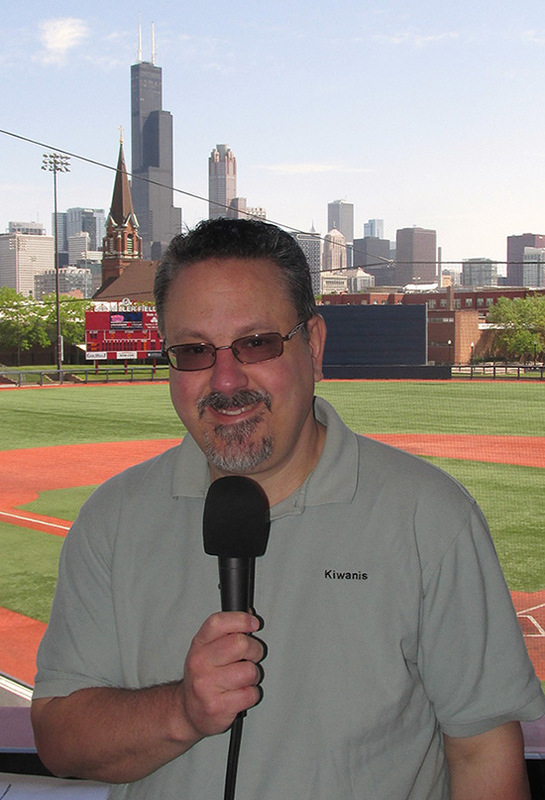 Mark Farina is a native Chicagoan, has worked as a sportscaster, sportswriter, and government public relations specialist in a career that has spanned forty years. He is a respected sports public-address announcer, having started as a fifteen-year-old sophomore (Steinmetz High School in 1975) and announcing at high school championships for baseball, football, basketball, wrestling, soccer, ice hockey, and girls rugby. He has been a PA announcer for The Chicago State University’s Cougars, Chicago Public League, the Noble Athletic Conference and multiple High Schools in the Suburbs of Chicago. Mark attended Illinois State University as a communications major, Columbia College Chicago as a radio-TV major, and DePaul University. He has an active member of Kiwanis International for over 25 years. He has been happily married to Diane Paulinski Farina since 1993, and they have a teenage son, Louis. Copyright © 2017. Mark Farina. All rights reserved.